With Monica Dimas's Sunset Fried Chicken Sandwiches. Photo via Rachel's Ginger Beer. 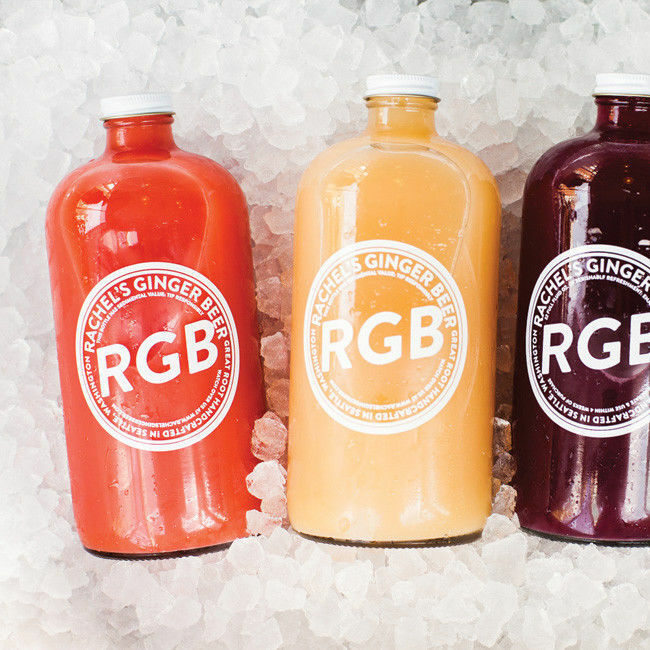 Yep, this makes great sense: Rachel's Ginger Beer—purveyor of bright, fruit-toned ginger beer and sunny cocktails thereof—will open its fourth outpost at University Village: the stomping ground of kids who appreciate a good ginger beer float and adults who could probably use a post-retail drink. Rachel's Ginger Beer U Village will open June 1, says founder Rachel Marshall. Its location next to the main Starbucks (formerly a Mac cosmetics store) will have a sidewalk patio, a wall of plants, and a mural by Stacey Rozich, whose folkloric animals adorn RGB's walls at the Pike Place Market, 12th Ave, and Portland locations. Just like on 12th Ave and at the new Portland shop on Hawthorne, RGB will sublet its kitchen to Monica Dimas. 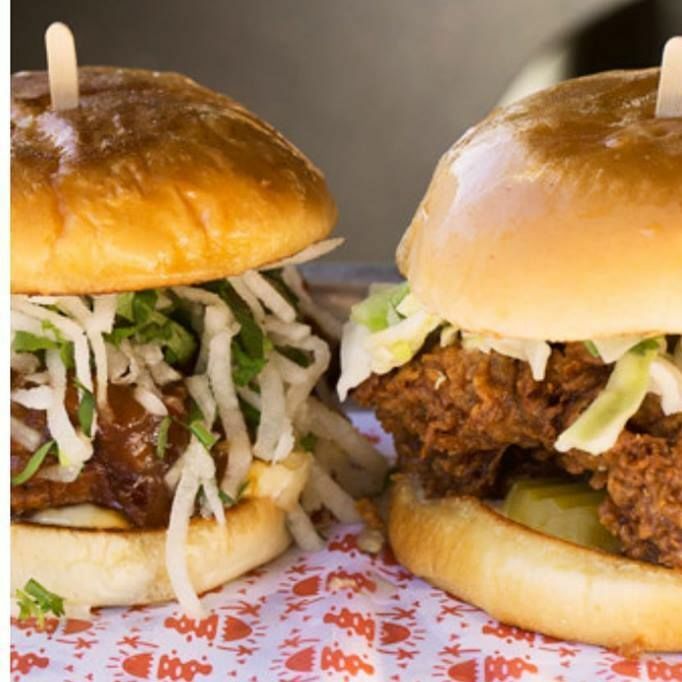 Her Sunset Fried Chicken Sandwiches will set up shop in a walkup window in the corner of the store, giving us another destination for those General Tso–inspired chicken sandwiches and satisfying wedge salads. Marshall says she's working with Portland's Steven Smith Teamaker on some tea-inspired flavors—oooh, chai or chamomile RGB?—for the U Village location. 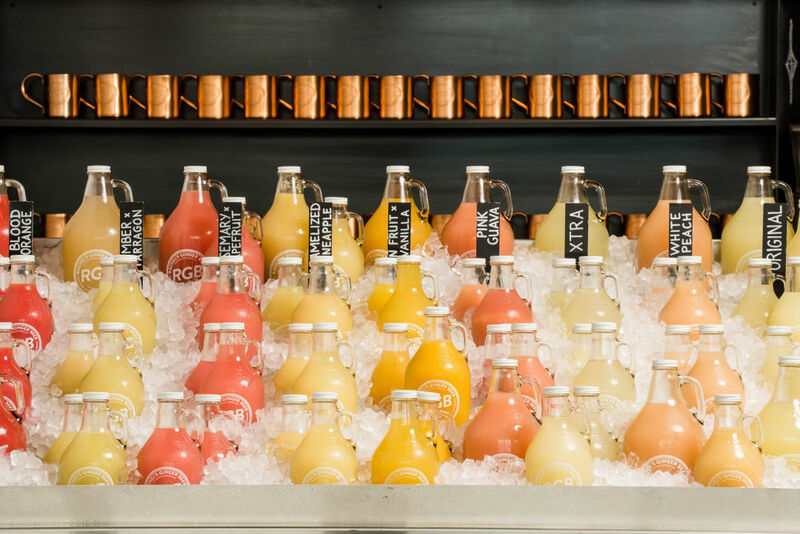 Her ginger beer operation is the latest in a string of big food and drink names to open at the shopping center (Din Tai Fung, Molly Moon's), which seems to be focusing on local restaurateurs of late. The Rachel's Ginger Beer Facebook page should have updates on the new location as June draws near.